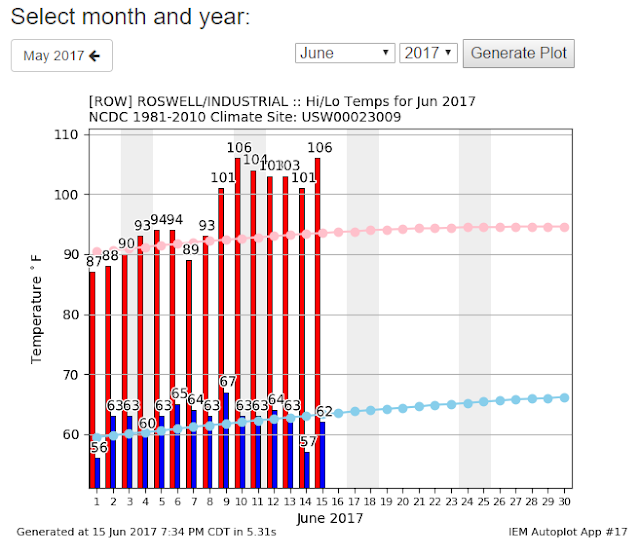 If You Think Today Was Hot Wait Until You See What's Coming Friday & Saturday. 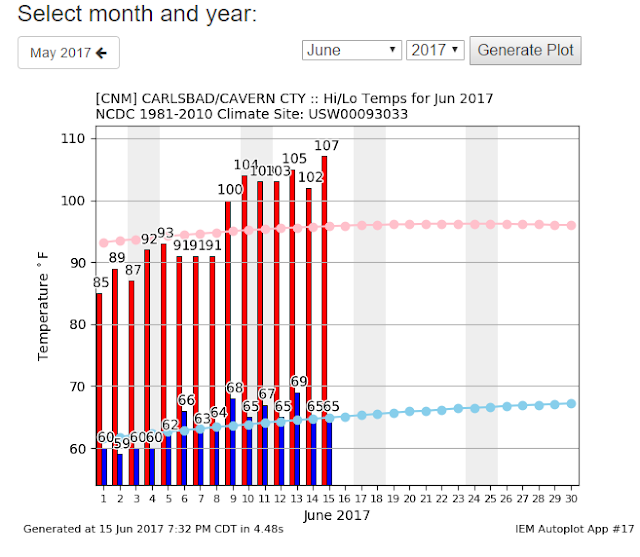 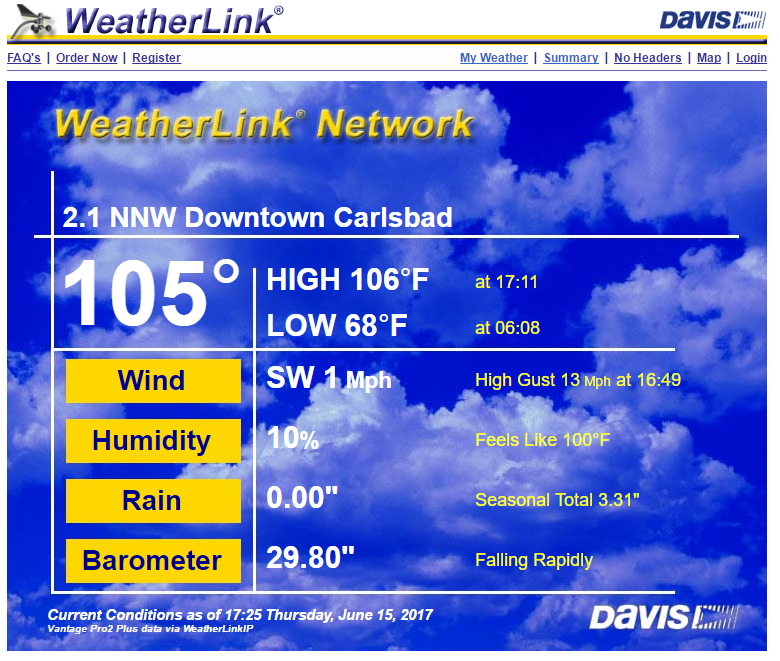 My High Temp Today In Carlsbad, NM - 106ºF. Local Airport High Temps Today. As of 6 PM MDT this highest temperature I've seen reported so far today is the 109ºF at the Salt Draw Raws which is located northeast of Roswell. 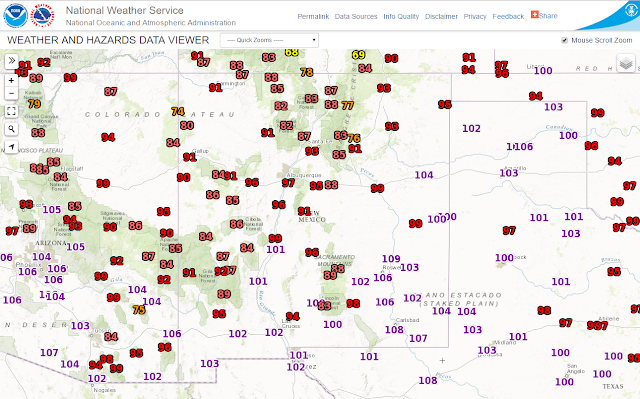 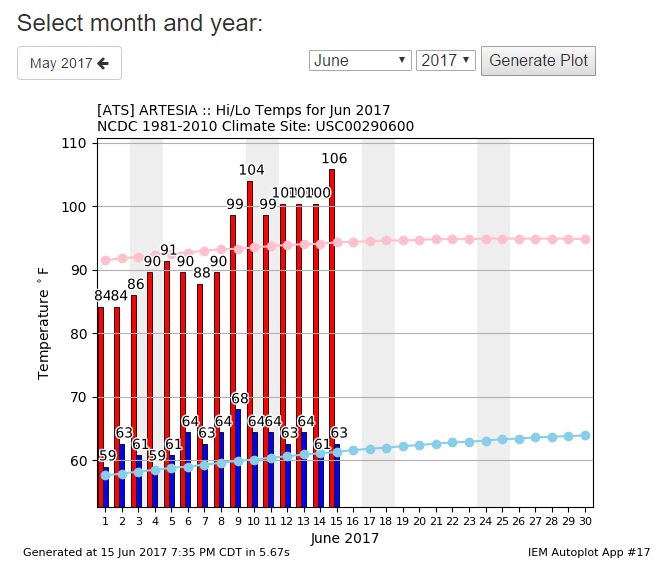 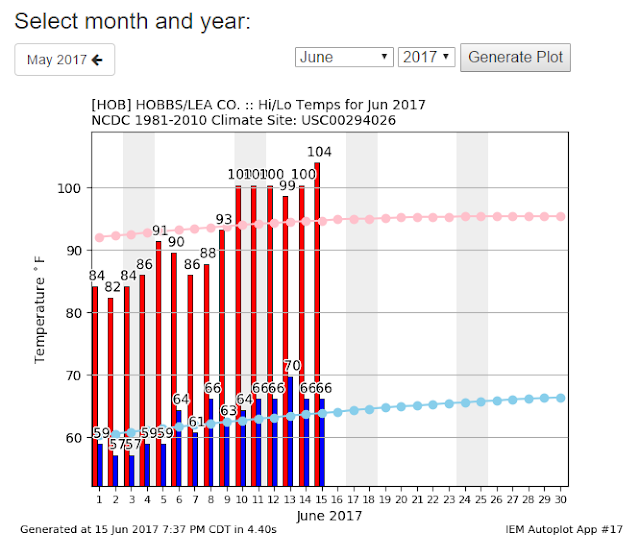 This does not include the NWS Climate Co-Op Stations in New Mexico. 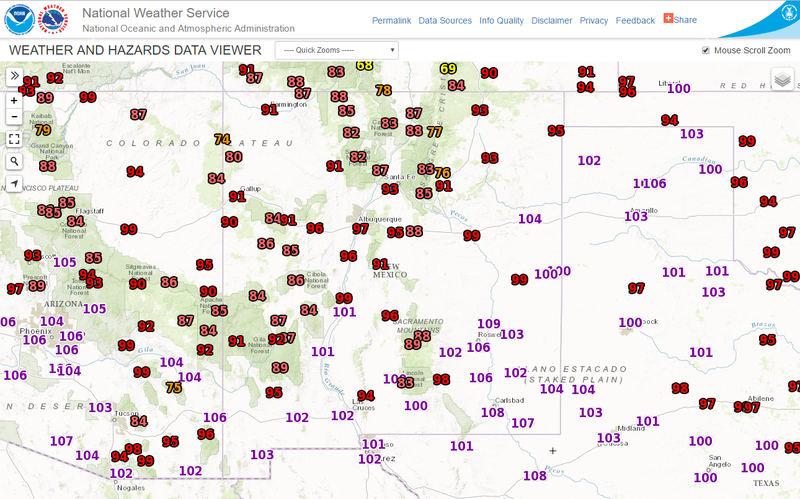 Most of their high temps will be available tomorrow. 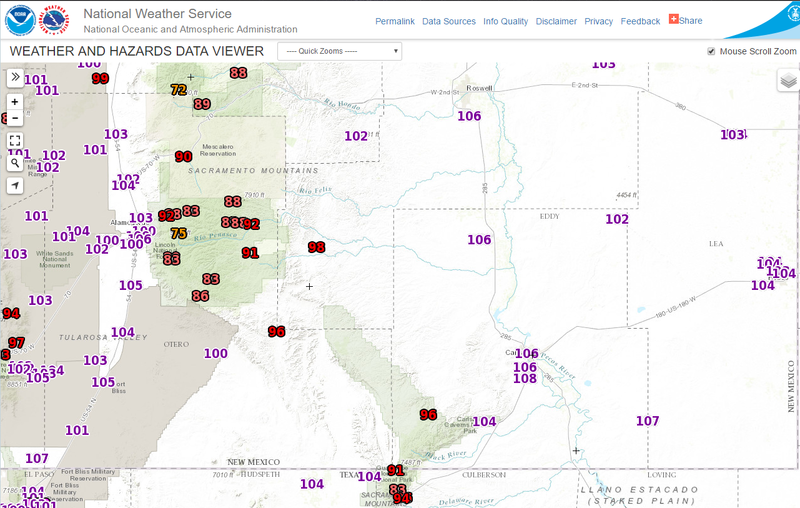 Forecast high temps Friday and Saturday in the Pecos Valley are expected to be in the 107ºF to 112ºF range. New daily record high temperature records will be possible across the state and local area Friday and Saturday.